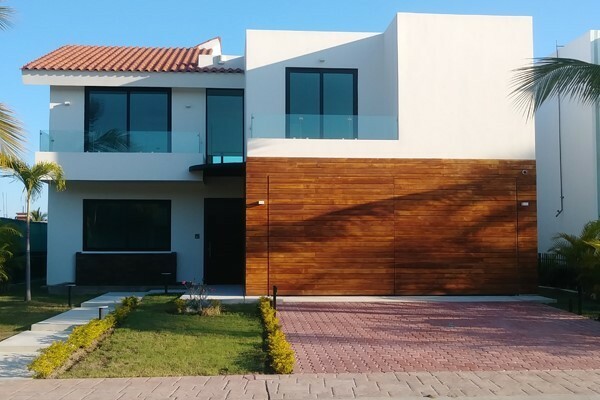 MEX-LIVING introduces a contemporary, open concept SMART home with an advanced, top-of-the-line home automation program by EASYDOM®. This program runs on Microsoft® and is compatible with Google Home®. Control it from your mobile device, the built-in screen on property or through voice command using Google Home®. With EASYDOM® you can control your light fixtures, audio, video, yard sprinklers, etc. as well as program scenarios that run with a single command! Monitor your home from afar and program energy peak limits to avoid higher rates! The home features 3 bedrooms plus a spacious studio which can be a 4th bedroom. 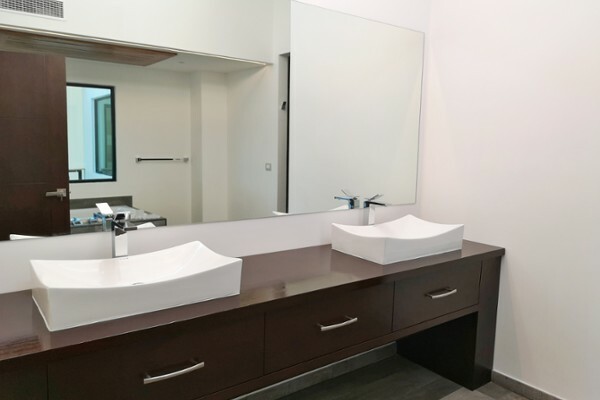 With 3 full baths you have everyone’s needs covered. 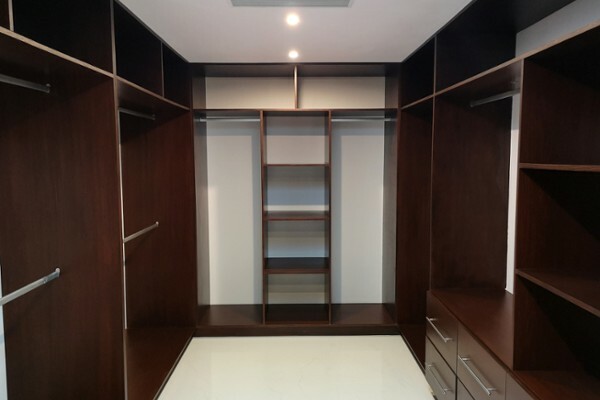 The master bedroom has a giant walk-in closet as well as a separate water closet containing wall-hung WC and bidet. Enjoy superb energy efficiency due to the insulated exterior walls and roof as well as a high-efficiency inverter HVAC system with 5 independent mini splits. The geothermal basement helps the A/C run still more efficiently. All light fixtures are high quality LED imported from Italy and give your home the warmth and style. Some lighting is dimmable thus allowing you to set the mood as you please. Others are RGB meaning you can change their color. The modern kitchen comes with a full, high-efficiency Italian appliance package by SMEG®. 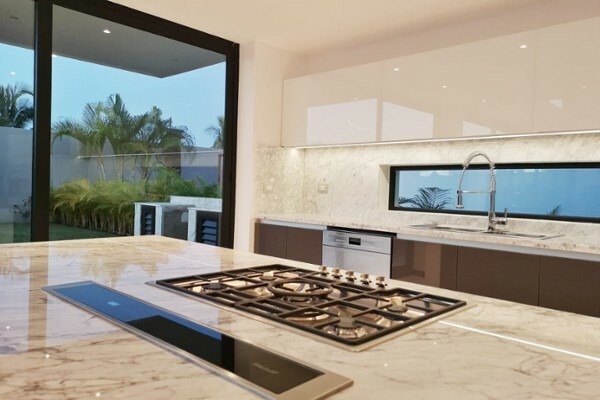 The countertops and island are Carrara marble. The retractable vent-hood rises out of the island only when you need it. 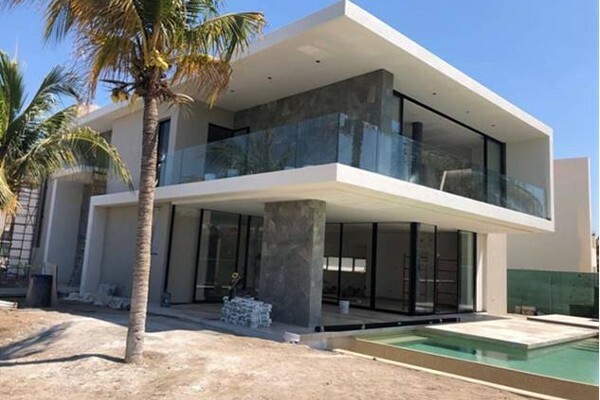 The marble-effect, seamless resin floors are one more of the unique and luxurious features of this home which you will be hard pressed to find in Mexico and at this price level, if at all. 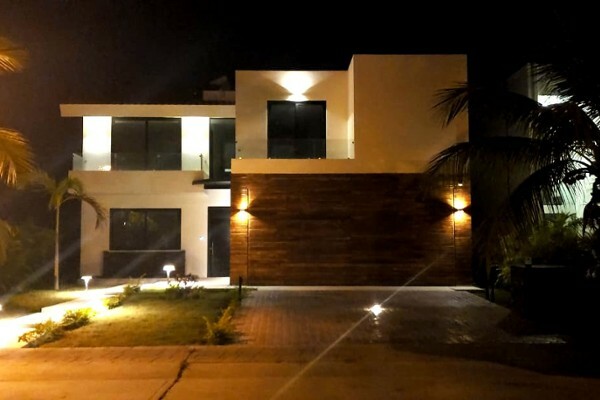 With a built-in AVS remote-controllable alarm system, video doorbell and security camera on the front and back of the property, you can leave home worry free, answer the doorbell from a distance via mobile phone and open the electronic door lock remotely. Monitor your home from a distance and be assured you are in control! 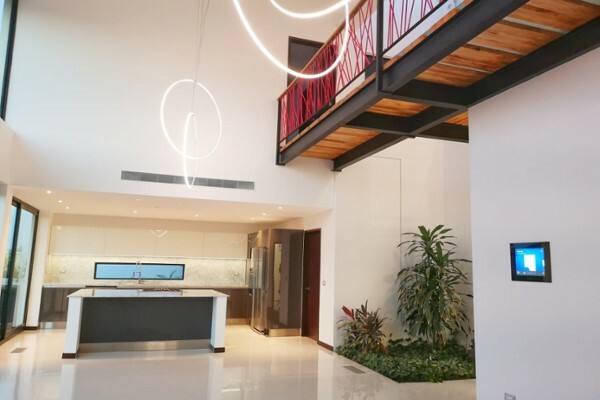 The indoor garden with color adjustable LED light strips gives this home a relaxed and sophisticated ambiance at the same time. A 6-8-person deep jacuzzi allows you to dip in all the way to your shoulders, change its LED colors, and enjoy a bubble or stream massage. Park your cars, jetski’s etc. securely in the large and fully enclosed garage with automatic doors controllable from the remotes, your mobile device or via phone call. All of this is built on a 7-foot deep foundation and an earthquake resistant steel structure as used on high rise buildings. 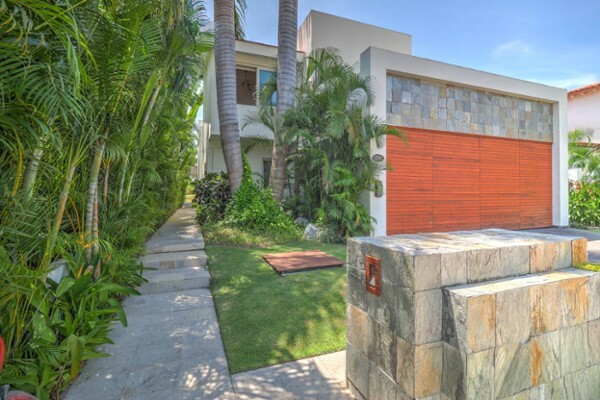 Since this home is in the Paradise Village El Tigre Golf Club, you have access to amenities such as a gym, swimming pools, tennis and basketball courts, golfing, a shuttle to the beach, 24/7 security etc. The maintenance fee and HOA dues are super reasonable. Call us for a private tour! You will like it! This home comes with a homeowner’s manual and a warranty. 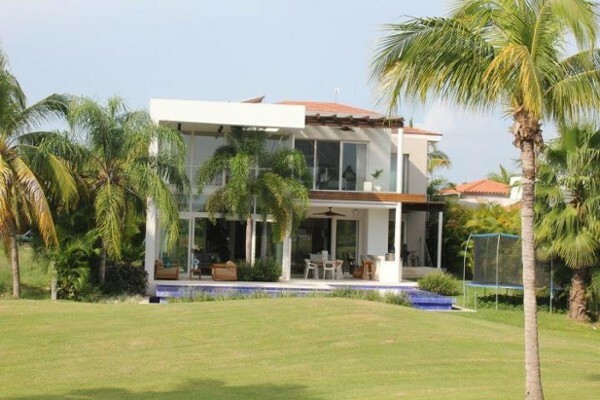 Fabulous home design by renowned Architect Juan Peregrina, with an original concept ..
Amazing villa with a beautiful view to the Golf Course, 2 story home, 5 bedrooms pl..